A development-approved site in Sydney’s Miranda has been snapped up by Malaysian-based developer BRDB for $12.8 million. Located at 1-3 University Road, 668A, 668 and 670 Kingsway, Miranda, the north-facing property has a gross floor area of 5,744 square metres and is DA-approved for 66 residential apartments. Knight Frank Director Tim Holtsbaum said the sought-after location appealed to local developers and investors as well as local Asian investors. “Miranda and the Sutherland-Shire area is a well-established owner-occupier market, located within close proximity to many premium schools, Sydney Airport, a major shopping centre and transport lines directly into the CBD and other parts of Sydney," Mr Holtsbaum said. “The purchaser had a strong preference for the Sutherland Shire, given its strong fundamentals and location. This sale shows the strength of the market for well-designed, DA-approved Sydney sites. "Knight Frank Head of Asian Markets Dominic Ong said Malaysian buyers have traditionally been very active in Melbourne – but this sale could indicate a shift. “This sale demonstrates the potential for a new wave of Malaysian investment into the Sydney residential development site market. In the past, Sydney has mostly received interest from China and Singapore in terms of Asian investment. "However, we anticipate this could change. "Mr Ong also said the property is positioned within close proximity to Westfield Miranda, which recently underwent a $475 million redevelopment, and features large-scale retailers including Apple, Uniqlo, David Jones and Myer. “It is opposite Port Hacking High School and just 800 metres to the Miranda railway station, which has a direct train line to Cronulla Beach and the Sydney CBD,” he said. 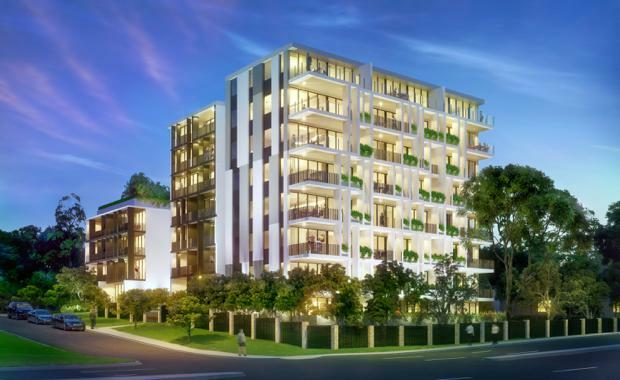 The site's DA-approval for 66 residential apartments includes large town-home-style ground-floor apartments with garden terraces and upper floors enjoying expansive panoramic view towards Cronulla and Sydney’s North. The apartment mix is approved for 27% one-bedroom apartments, 71% of two-bedroom apartments and 2% three-bedroom apartments.